necessary to spend a fortune. same things: they write, they photograph, they reproduce videos, games and phone. If all this is done without giving up quality and spending less, then there is no doubt: you must have a Xiaomi! Google applications and with a series of “cinesate” that could not be uninstalled. in shopping centers or large technology centers. I will point out those where I buy regularly. 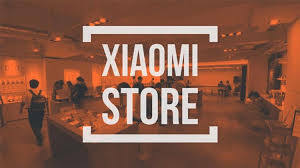 The first is that of Xiaomi Italia, reachable at https://www.mi.com/it. effective, usually the products arrive within two days. possibility to interact via chat and all products have 24-month Italy warranty. smartphone modding (bootloader unlocking, rom eu installation etc.). with the possibility to purchase, in addition to smartphones, also other technological devices. Grossoshop and Honorbuy also deliver within a couple of days. also devices with Chinese rom. Store and Gapps, but they can always be installed separately. At this point, I really believe I told you everything.